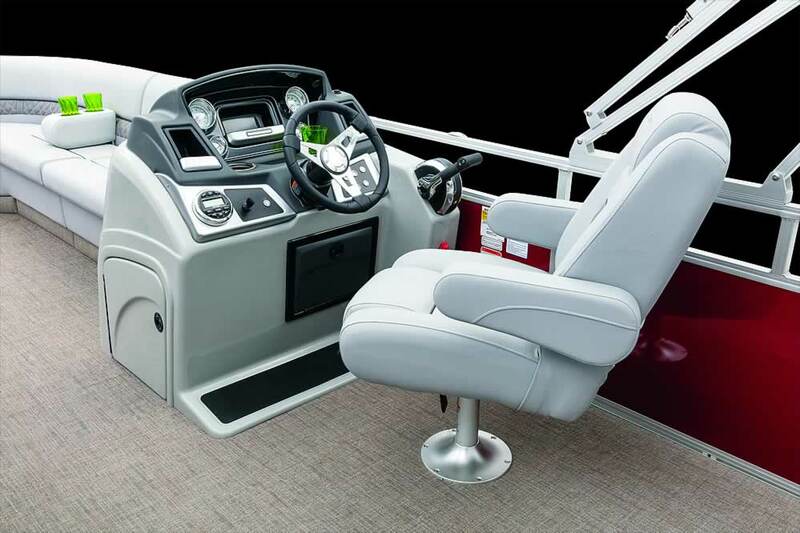 From its luxury woven cushioned floor to the sporty tilt steering and self-latching gates, the Reata RP223C Cruise model is built to accommodate anything and everything. 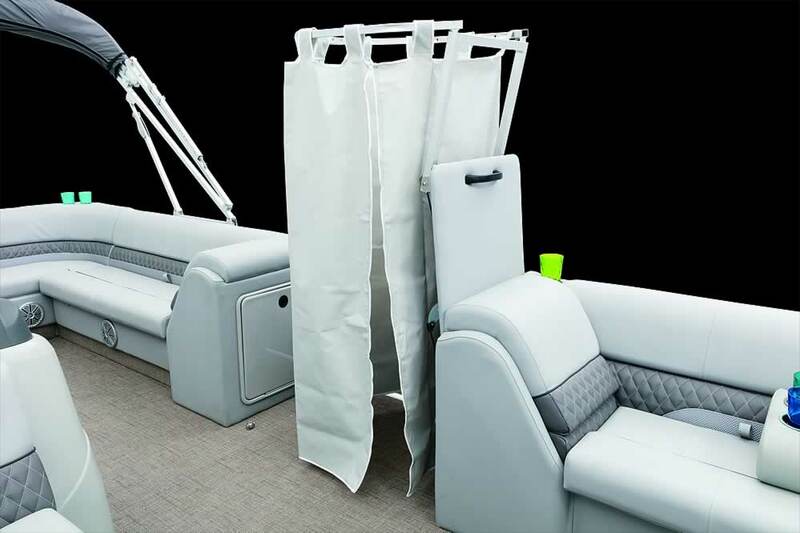 Sit, relax, observe and soak it all in with your Reata® by Ranger®. If you decide to get up and go, three powder-coated logs are at the ready. 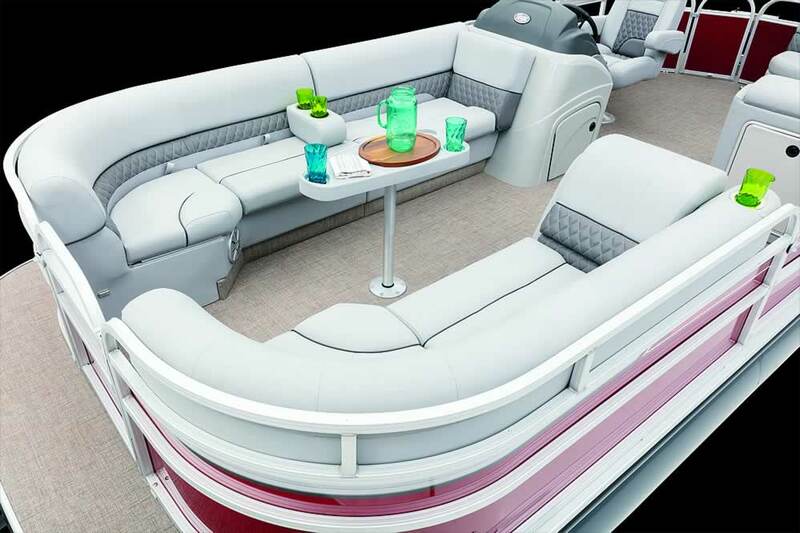 And when you’re good to drop anchor, spread out and enjoy the rich, premium upholstery. 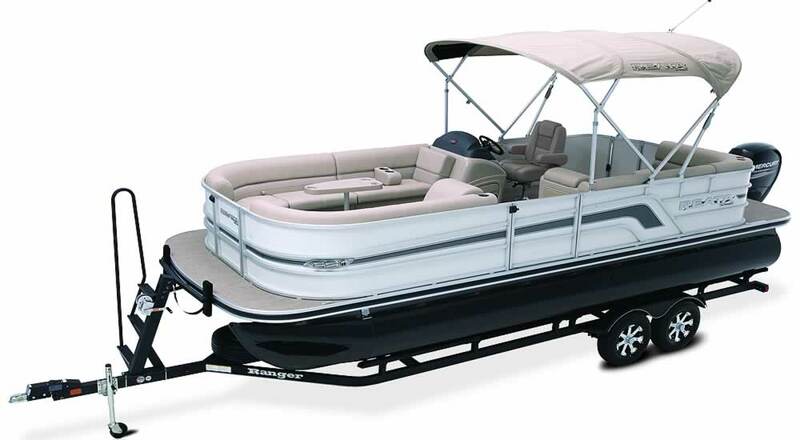 Full width swim platform with mount for optional ski tow. 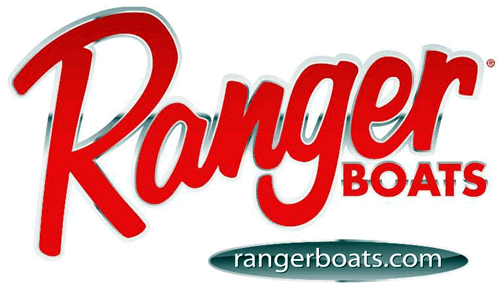 Every boat born with the legendary Ranger name comes complete with our Five-Star Advantage. 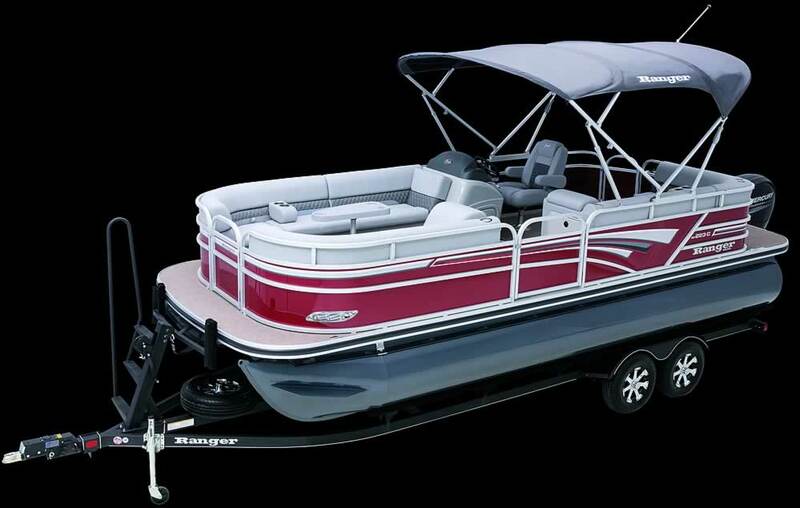 Ranger Reata pontoon boats are no exception. 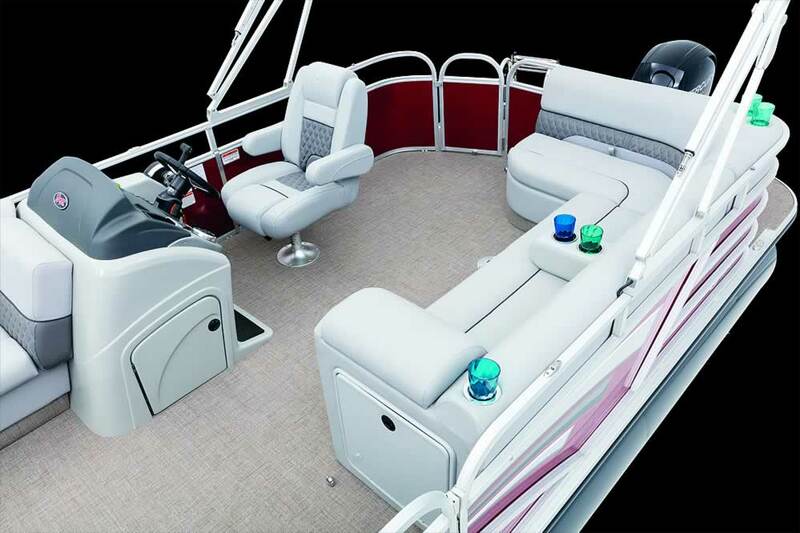 Here’s what you can expect and what we demand of all of our boats. 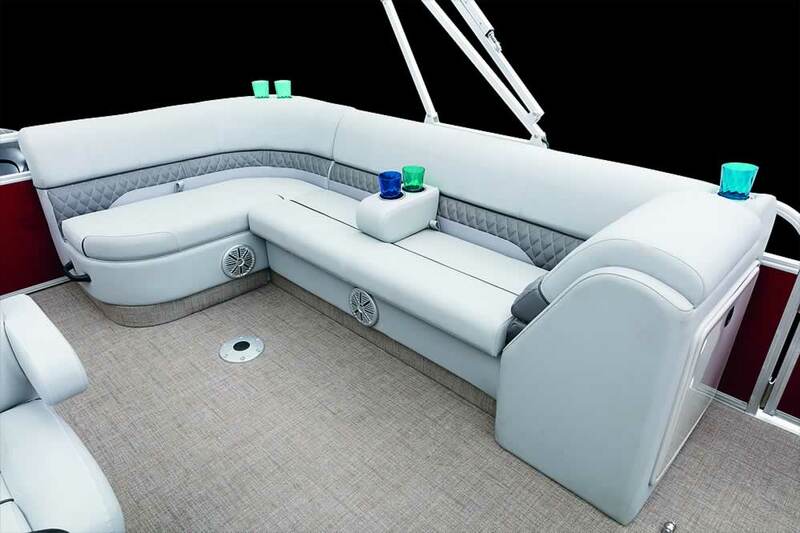 Quality – Detail after detail, you’ll see the difference in our construction standards, top-grade materials and premium components. 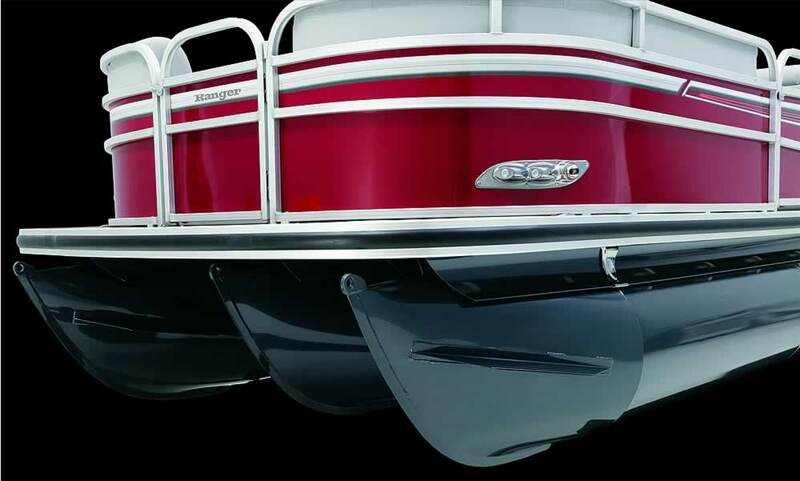 Innovation – From fishing to cruising, we never stop listening, learning and refining. Performance – Whether you’re opening up the engine or the live well, you’ll appreciate superior handling and even greater confidence. 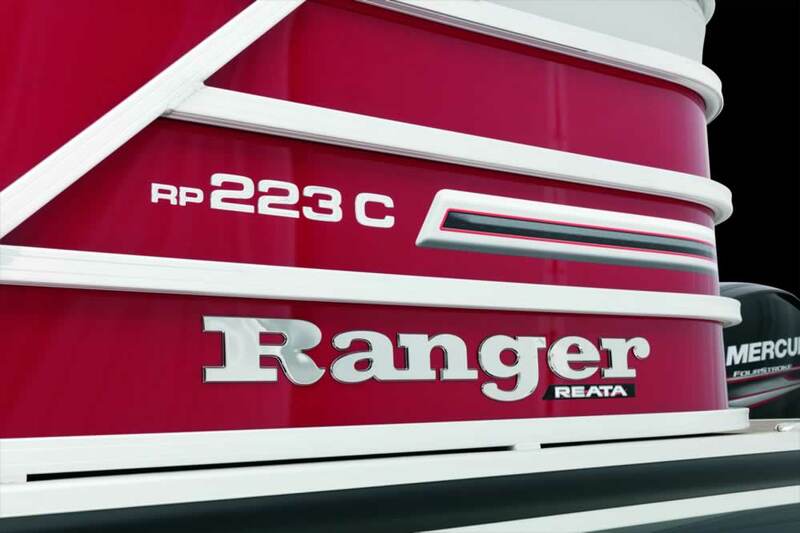 Resale – Like all Rangers, your Reata is built to last and continue making memories for second and third owners down the line. 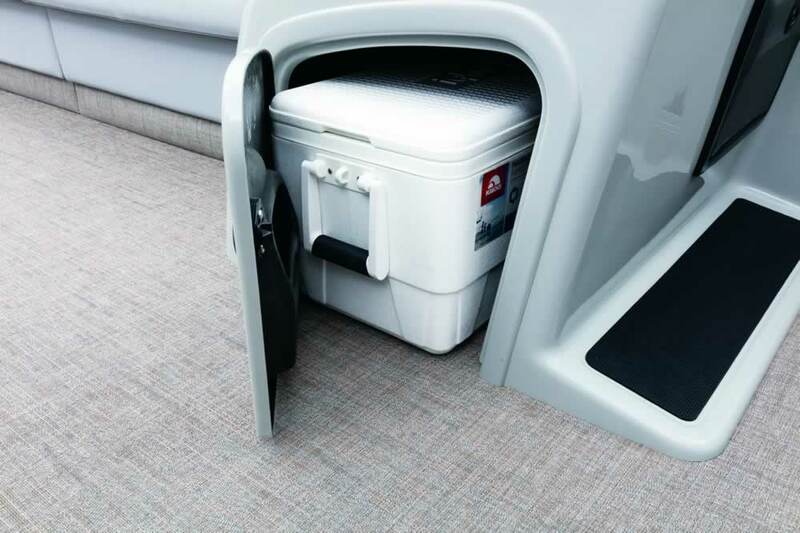 Safety – Every boat we make meets or exceeds all USCG, NMMA and ABYC standards and is designed to deliver lasting peace of mind. Raising the standard of what comes standard. 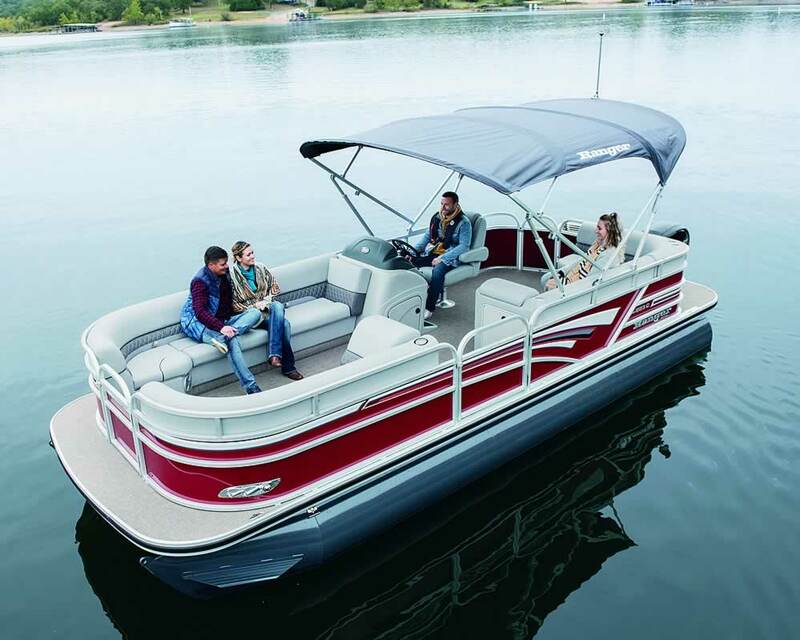 From powder-coated logs that slice through the water to the through-bolted deck that is firmly attached to the frame of the boat, comfort and performance are inextricably connected. And that kind of thoughtful construction affords a different kind of connection as well. The kind you build with your family in new settings and unique moments, away from your daily routines and expectations. Premium-grade construction, first quality materials throughout and a thoughtful layout combined with amenities you’d believe to be considered upgrades come standard with Reata®. The reason is simple. When collecting memories, you need plenty of storage. 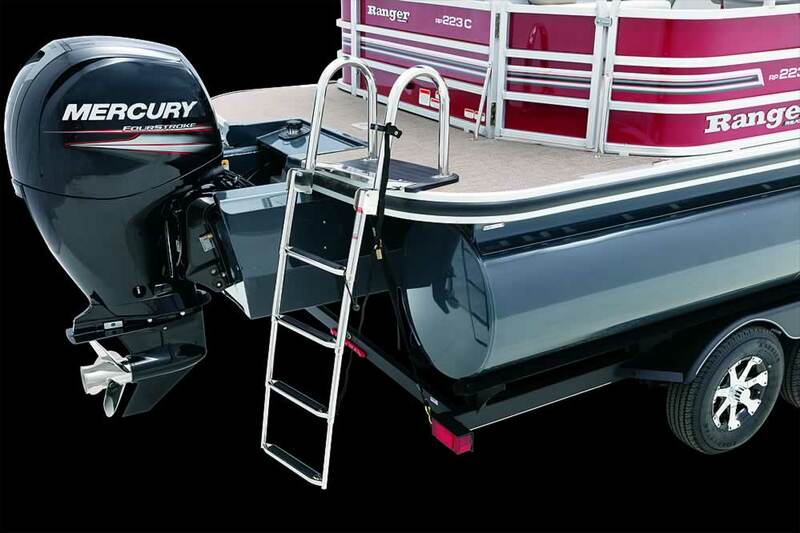 In addition to the Reata® 10-Year Warranty, your motor is covered by Mercury®, Evinrude® or Yamaha®. And for 3 years, your optional trailer is backed by the TRAILSTAR™ Trailer Limited Warranty on the GALVASHIELD® steel tubing against structural failure due to corrosion. 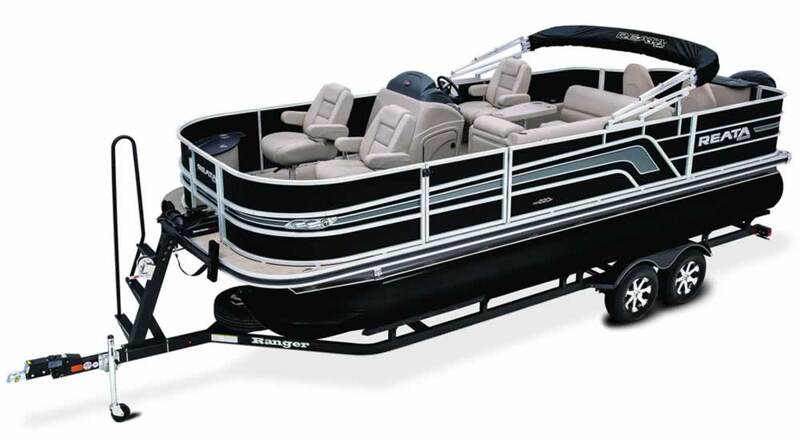 Cruise Pontoon with Mercury Four Stroke? Please feel free to give us a call at 330-673-7600 during our business hours, or you can contact us online with this quick and easy form. Tom or Victor will get back to you as quickly as possible with answers and/or pricing and availability. Do you have a boat to trade in?